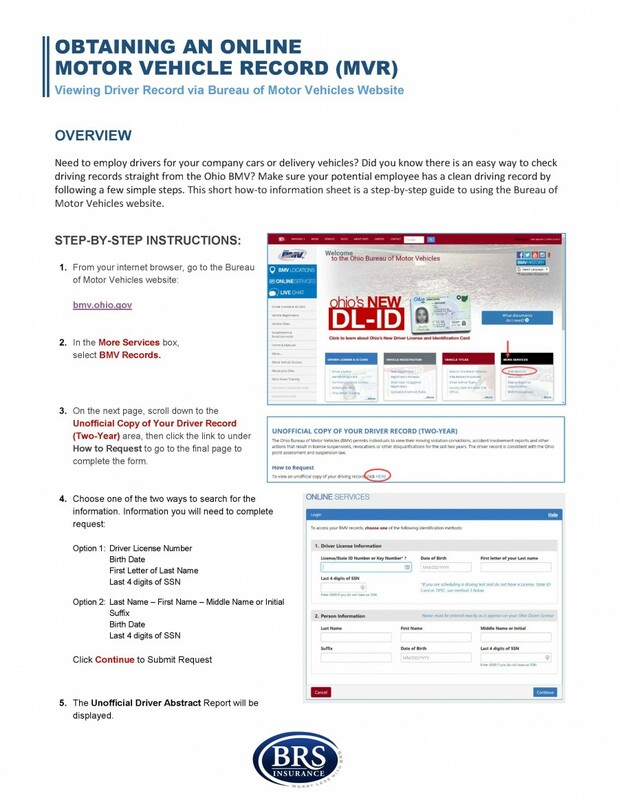 You can obtain an unofficial copy of your driver record at bmv.ohio.gov. Learn how to do this with these step-by-step instructions. Interested in what your driving record show? 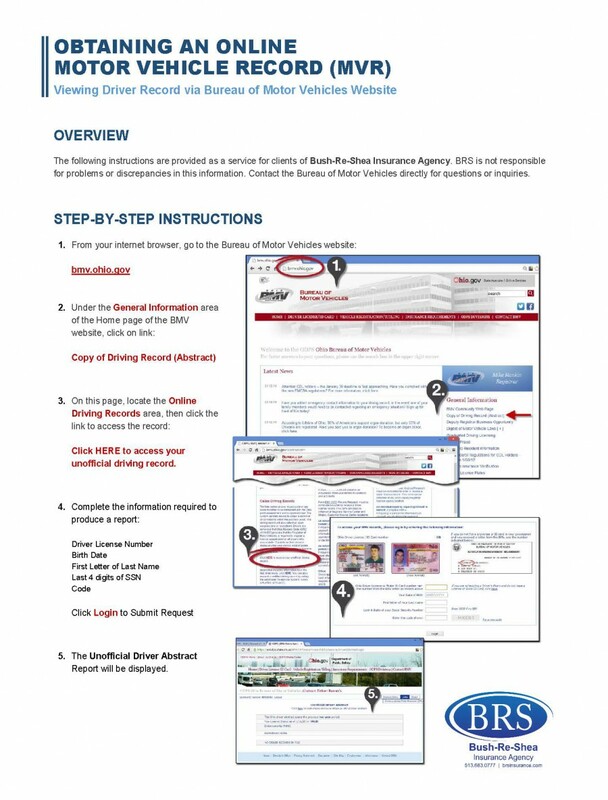 This short how-to information sheet is a step-by-step guide using the Bureau of Motor Vehicles website (bmv.ohio.gov) to help obtain this information.